Just like you share beauty secrets with your friends, so do the stars! Eva Longoria recently recommend laser hair removal to her best friend, Victoria Beckham, and Mrs. Beckham hasn’t looked back since, calling non-invasive laser hair removal “amazing” in a recent Allure Magazine interview. If you want hair-free and carefree skin for summer like Eva and Victoria, now is truly the best time to start. As you shed your winter clothes, make sure you’re revealing only the smoothest and most touchable skin. Stop covering up and worrying about needing to shave or wax before you go to the beach or wear your favorite shorts. Vectus® laser hair removal at The Langdon Center in Guilford, CT can help you save time, money and energy on hair removal – as well as spare you another summer of embarrassing and unsightly razor burn and ingrown hair. Vectus® laser hair removal in Guilford, CT can safely and effectively treat the widest variety of skin tones in half the time as other laser hair removal devices, resulting in fewer treatments and quicker results! In addition, this advanced laser system features a cooling system for patient comfort, which offers the most comfortable and safest laser hair removal experience. 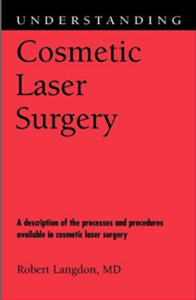 Commonly treated areas are the legs, bikini, chest, back, arms, underarms, upper lip, chin and more. A series of laser hair removal treatments will ensure long-lasting results so you can enjoy hair free skin, not just this summer, but for many summers to come. And Vectus® laser hair removal isn’t only for women! For men who suffer from excessive hair on their shoulders, back, chest or abdomen, Vectus laser hair removal is a great way to get smoother, more attractive skin, too! Say good-bye to unwanted hair, razors and wax and hello to beautiful, hair free skin. 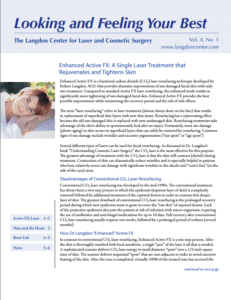 Schedule your consultation today by calling 203-745-0340 or email cdyson@www.langdoncenter.com.